At Dreamworx Day Spa, you can expect royal treatment. You will find a relaxing and friendly atmosphere dedicated to pampering you. From a wash and go cut, to a blow out, to a relaxing massage, we are dedicated to meeting your individual needs.Dreamworx Day Spa delivers an amazing experience to celebrate you - our customer. We offer retail products that you won't find anywhere else. 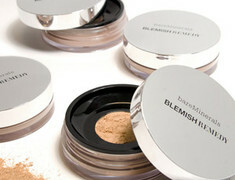 We carry Rainbow Sandals and Bare Minerals makeup and skin care. Bare Minerals is an award winning line of pure mineral makeup that has reached critical acclaim and rave reviews in all beauty magazines. This exciting scientific discovery uses Photo Rejuvenation via Red Light Technology as a natural, safe and relaxing method to trigger your body to increase your own production of collagen which in turn smooths and reduces wrinkles and creates more youthful looking skin. 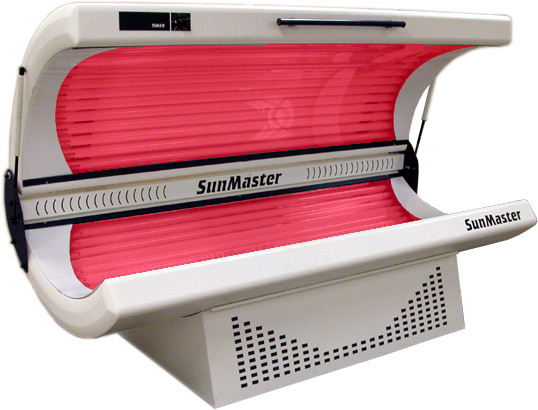 This machine treats your entire body in a relaxing 20 minute session and emits No UV whatsoever. We also recommend using Red Light Therapy before your sunless session to help with the absorption of the sunless solution. Using technology develped by NASA and supported by over 40 years of independent scientific research it has now been concluded that there are many benefits gained from exposing the skin to intense red light (Photo Therapy).Red light is able to penetrate the skin to a depth of 8-10mm encouraging the cells to naturally stimulate the production of collagen and elastin. The anti-aging effect is produced by increased collagen adding volume to the skin and extra elastin firming and toning the skin. The obvious benefits of this new treatment is that it is totally pain free and is a SAFE method for naturally increasing the body's own production of collagen. Increasing Collagen has always been acknowledged as beneficial for firming and toning the skin. Red Light Collagen Therapy achieves this without the need for painful needles and for this reason the new treatment could become the best new beauty product for 2010. The calming and relaxing red light at 633 nanometres penetrates the skin to a depth of 8-10mm which the increases circulation by the formulation of new capillaries. These new capillaries then speed up he healing process in damaged skin. The light rays stimulate the production of collagen a protein with a high elasticity level that is used to repair damaged tissue. Collagen Red Light Anti-Aging Therapy treatment is beneficial for the treatment of: Wrinkles-Acne-Age Spots-Broken Cappillaries-Wounds-Cuts-Scars-Sun damage.